Attorney, Gerard C. Tamburino, represents injured parties in New Jersey workers compensation claims and appeals. Mr.Tamburino aggressively pursues all types of workers compensation, disability, occupational illness and death benefits. We also represent people injured as a result of car accidents, slips and falls and dog bites. Injured employees are often not informed by their employers and their insurance carriers about certain benefits to which they are entitled. Let our firm help you get the compensation that you deserve. We ensure that employers and insurance carriers cover your lost wages and medical bills and we secure for you cash awards for permanent partial disability or for total disability. employers in defense of workers' compensation claims. Contact The Law Office of Gerard C. Tamburino about your work related injury or illness at (973) 344-3895. Se Habla Espanol. Se Fala Portugues. The Law Office of Gerard C. Tamburino offers experienced representation in all aspects of New Jersey family law. We are committed to protecting the interests of our clients and fostering mutually satisfactory legal solutions. We aggressively fight for our clients' rights in the criminal arena. 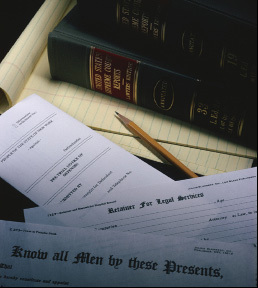 Our attorneys represent clients in State and Municipal cases throughout New Jersey. The Law Office of Gerard C. Tamburino is devoted to your legal needs. Our expert staff will assist you with your legal defenses with care and compassion. We handle criminal and/or drug offenses, robbery and assault, DWI, juvenile offenses, theft crimes, expungements, bail reduction and traffic matters. The Law of Office of Gerard C. Tamburino represents both residential and commercial buyers and sellers with respect to purchases and sales of residential home, commercial buildings and businesses.